Industrial M2M LTE (4GX) Router, Dual SIM, 1 x LAN, 1 x RS232/485, 9-32VDC, ext. temp. Suitable Telstra 4GX, Optus 4G Plus, Vodafone 4G+, Spark NZ, and 2degrees networks. 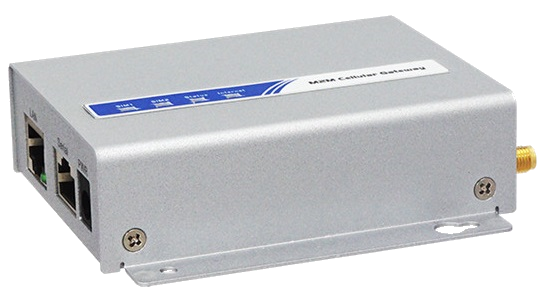 M2M LTE Cellular Gateway for Industrial, Remote Telemetry, Retail POS, and Self-Service Stations, like ATM, vending machine, and digital signage applications. Equipped with Dual-SIM LTE radio, supporting ANZ LTE (B28/B5 etc…) & 3G bands. 1 x RJ45 LAN port for connecting to remote assets. 1 x RJ45 (RS232/RS485) Serial Port for remote console, out of band management, and for interfacing to external assets via RS232 or 485, including Modbus protocols. With optional GPS for location based applications. Includes advanced networking protocols: NAT/Routing/ incl. IPv6 compatible for all IP networks. IPSec, OVPN, GRE, PPTP, L2TP VPN support up to 3 concurrent tunnels with 20Mbps throughput (IPSec). Stateful IPTables Firewall with SPI and IPS, prevents hacker attacks and enhances network efficiency. Remote Management – HTTP/HTTPS, SNMP, Telnet CLI, SSH, and TR-069 for large scale management, incl. FOTA updates. 9-32V DC power supply input, via terminal block (supplied).